I finally watched the Keynote the whole way through, and have looked at the reviews and promotions for the new iPhones, Watch, and TV. I even had a chance this morning to talk with six or so high schoolers about the new Apple devices. From my observations and interactions, I have a few thoughts that you might find valuable. First, with the teenagers I’m around, “It’s iPhone, or go home.” There are several reasons the iPhone is a HUGE must-have for students – the biggest one I’ve heard concerns group texting via iMessage. If a student doesn’t have an iPhone, his or her group texting experience is very limited – and because adding a non-iPhone person into a group text means that the texts are now just regular texts instead of iMessages, iPhone kids often don’t add non-iPhone friends to their conversations. No kid wants to be left out of the loop, so an iPhone is almost a necessity. Another observation is the coming “Augmented Reality” capabilities of the new iPhones. The guys that I talked with this morning were stoked about it, and hankering for the new iPhones so they can immerse themselves into an AR world. AR requires a ton of computing power to do right, and Apple seems to have leapfrogged the rest of the tech world by creating their own CPUs that are wicked fast. This is an example of hardware advancement unleashing software development. Remember when you had to buy a new computer in order to run the latest programs? That’s happening now in mobile devices. Teenagers are, by and large, early adopters. They’re going to want the horsepower of an iPhone 8 or X to get up to the eyeballs into the AR world. 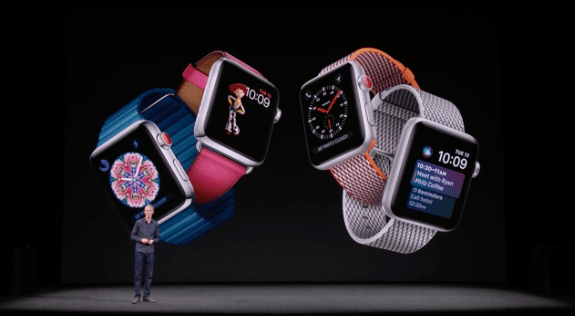 My final observation concerns the Watch Series 3. With a addition of cellular connection, my guess is that this device has come of age, and will become a very valuable tool for youth leaders. Since we tend to be an “on the go” bunch, having glanceable info on your wrist, including the ability to make and receive calls, can be indispensable to our productivity. Besides, they’re just too cool! As always, these technology thoughts need to be placed in context by what’s at the heart of what we do: building relationships with teenagers, helping them to follow Jesus and to influence their world for Him. These devices are mere tools to help us be more effective!